VOYAGER CLUB TIP- ENJOY BREAKFAST IN THE FAMOUS ‘51 SHADES OF PINK’! One of the most treasure palaces in the Pink City of Jaipur. 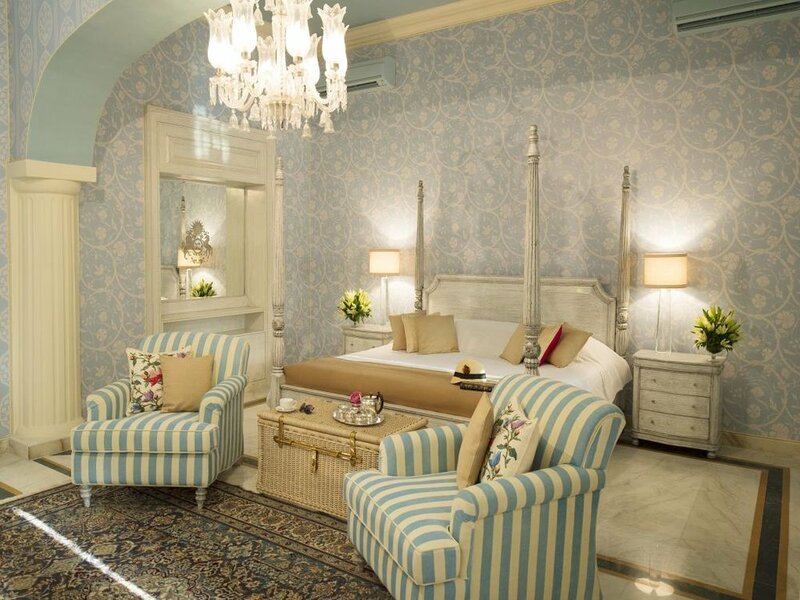 Home to the Maharaja of Jaipur, this exquisite royal palace is located at the heart of Rajasthan’s bustling capital. This opulent palace has been redesigned as a sumptuous boutique hotel. The spacious rooms and suites feature exquisite wallpapers and splendour. This very special jewel has 15 rooms consisting of Palace rooms, Palace suites, Royal suites and Royal apartments (some two bedroom configurations) to create the finest rooms in the city. The suites are named after their prestigious former guests, such as Queen Elizabeth II and Jackie Kennedy. Spend the mornings exploring the Pink City and lazy afternoons at the perfectly imagined pink pool- Spa treatments are also available. This hotel oozes India heritage, splendour and imagination to create an incredible Indian palace and boutique hotel.